Twenty-five years of experience as a trial lawyer has given C. Joseph Greaves an edge in creating gritty true crime/historical fiction. 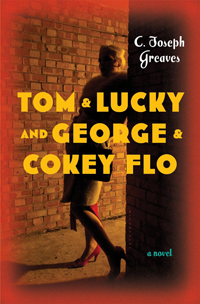 Tom & Lucky (and George & Cokey Flo), his second standalone novel from Bloomsbury Publishing, was named one of the best books of 2015 by The Wall Street Journal. Writing under the pen name of Chuck Greaves, he’s also authored the Jack MacTaggart detective series (Minotaur Books). You can find him on Facebook and LinkedIn, and at his website ChuckGreaves.com. What is your elevator pitch for Tom & Lucky? My short pitch is: Boardwalk Empire meets House of Cards. My longer pitch, from the book flap, is: The year is 1936. Lucky Luciano is the most powerful mobster in America. Thomas E. Dewey is an ambitious young prosecutor determined to bring him down, and Cokey Flo Brown—grifter, heroin addict, and sometimes prostitute—is the witness who claims she can do it. Only a courtly Long Island defense attorney named George Morton Levy stands between Lucky and a life behind bars; between Dewey and the New York governor’s mansion. This is their story. What inspired you to write the book? What made you choose to focus on the trial of gangster Lucky Luciano and expand on the lives of those involved? I didn’t retire from law practice until 2006, but I knew if the writing thing ever clicked, I’d someday tackle the Luciano vice case, which was one of the more colorful and controversial criminal trials in American history. I finally did so with my fifth novel, Tom & Lucky (and George & Cokey Flo). Bloomsbury agreed it would make for great historical/true crime fiction, and I hope that its recent selection as one of The Wall Street Journal’s “Best Books of 2015” repaid that faith. Tell us about your main characters, including which point of view you enjoyed writing the most. The four main characters are based on real people. Two of them—Dewey and Luciano—are household names, while the other two—Levy and Cokey Flo—are not. What Dewey and Luciano had in common, I believe, was the naked ambition to succeed at their chosen careers, whatever the costs might be. Because volumes had already been written about both of them, I was somewhat constricted in my fictionalization of their lives. The relative obscurity of Levy and Cokey Flo, on the other hand, left ample room for creativity, but always with the self-imposed limitation that the actual details of their lives, where known, must be respected. It’s appropriate you mention point of view, because it plays a major role in the novel. In an effort to impose structure on the material, I decided to give voice to each of the four main characters in alternating chapters starting in 1914 and continuing through the trial in 1936. In order to make their voices unique, I wrote all the Luciano chapters in the present tense (the rest are past tense), and all the Cokey Flo chapters in the first person (the rest are third person). My favorite character to write, hands down, was Cokey Flo, and so I was pleased when several reviewers singled her out as their favorite. Structurally speaking, the book is naturally cinematic because it’s written in such a way that each chapter reads as a stand-alone scene. In his review, Tom Nolan of The Wall Street Journal noted that the book has “the wild energy of a 1930s Warner Bros. crime-movie,” and that is no accident. Because the cast of characters, both major and minor, is straight out of Damon Runyon—over forty madams and prostitutes testified for the prosecution—any chapter would hold its own on screen. But if forced to do so, I guess I would choose the chapter in which Lucky Luciano, in 1931, engineers the execution of Giuseppe “Joe the Boss” Masseria during a card game in a Coney Island restaurant. Each man had come to the restaurant expecting to witness the other’s murder, but Lucky outsmarts and outmaneuvers his rival, whose elimination paves the way for Lucky to gain control of the New York underworld. Writing the novel involved a ton of research, not just into the underlying events and characters, but also into the clothes, language, customs, settings, and attitudes of the era. The biggest challenge in writing Tom & Lucky was finding a new and compelling way to tell a story that had already been told in at least a dozen previous works of nonfiction. Also, to do so in a way that cut through the myth that’s grown up around Lucky Luciano and expose the man behind the legend. There’s a line in the book’s afterword to the effect that “Luciano’s was a life lived mostly in secret, and chronicled mostly in hindsight.” I knew part of the book’s audience would be organized-crime aficionados and, believe me, they will not suffer even the smallest of inaccuracies. If you think gun experts are tough on crime writers, you haven’t lived. Tell us more about Tom & Lucky and how it came together. I knew Levy’s files contained historical documents and information that had never been made public. 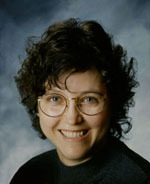 (Some of those documents can be viewed on my website: ChuckGreaves.com.) I almost felt a moral responsibility to use those documents to explode the accepted narrative of Tom Dewey as the incorruptible special prosecutor and Lucky Luciano as the sinister whoremonger. (Remember, it was the Luciano prosecution that launched a political career that nearly carried Dewey to the White House.) The truth, you see, was a lot more nuanced, and if my readers come away with that understanding, then I will have succeeded in my mission. I started researching the book in earnest in mid-2013, after finishing The Last Heir, my third Jack MacTaggart mystery for Minotaur. I spent six months or so doing pure research, then another year writing the book, which came in at around 120,000 words, making it my longest to date. The editing required was minimal—just copyediting, really. I also wrote a couple of feature-length articles in advance of the book’s publication; one for the ABA Journal, the monthly magazine of the American Bar Association, and one for Informer, the preeminent magazine for organized-crime buffs. After that, it was up to Bloomsbury. Why did you decide to use a pen name for your true crime novels? It wasn’t my idea, believe me. 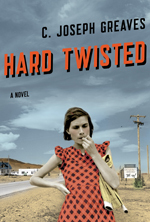 By the time I finally landed an agent (after winning the SWW Storyteller Award in 2010), I had written both a mystery novel (Hush Money) and a literary/historical/true-crime novel (Hard Twisted). We sold the mystery to Minotaur, which generally doesn’t publish literary fiction, and then the historical to Bloomsbury, which generally doesn’t publish mystery. To avoid reader confusion, Bloomsbury wanted me to use a pen name, since Hush Money was such a different novel than Hard Twisted, was ahead of Hard Twisted in the pipeline, and would appear under the name Chuck Greaves. I, however, didn’t want to spend the rest of my life writing as Mildred Pfefferman if, in fact, the mystery novels failed and the historical novels succeeded. We finally settled on variants of my real name, which is Charles Joseph Greaves. This is a great question, and one that every writer should confront at some point in his or her career. I’ve concluded, after five published novels, that my greatest weakness as a writer is a reluctance to drill down into my characters’ inner emotions. When I read authors who can do that credibly and seemingly without effort, I am in awe. It’s something I’m always working on. Being an experienced trial lawyer has allowed you to write realistic courtroom scenes. What other ways has your former profession affected your writing or your journey to publication? I’ve observed that there are three professions which are overrepresented in the universe of successful authors: journalism, law, and advertising. The reason, I believe, is that all three involve a reductive writing process—the art of making the complex simpler, whether it’s a news story, a fact pattern, or a product. The twenty-five years I spent as a lawyer, and the innumerable briefs and motions that I wrote along the way, were of enormous benefit in teaching me to tell a succinct story in a compelling way. 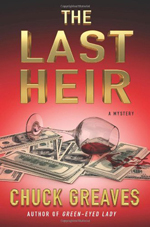 You have three novels in your Jack MacTaggart series published by Minotaur Books (Hush Money, Green-Eyed Lady, and The Last Heir). What are the challenges in writing a series? Would those who know you recognize you in the main character? Jack MacTaggart is handsome, funny, smart, and fearless, so there’s no chance in hell anybody would ever recognize me. As for writing a series, I think it’s wonderful for as long as you, the author, still enjoy your characters’ company. One piece of advice I give to new authors is: be sure to choose as your subject matter a story you’re prepared to live with, every waking hour, for a year or longer. Or, in the case of a series, for many years to come. Have you considered indie publishing for future projects? Funny you should ask. I’m currently working on two projects, one of which may end up as my first indie venture, in that we’re writing purely on spec. I say “we” because my dear friend Deborah Coonts and I decided, after a few too many glasses of wine, that it was high time our respective series characters (her Lucky O’Toole and my Jack MacTaggart) finally met. We’re in the midst of writing a madcap caper novel involving baseball, Las Vegas, and hit men. God knows where it will end up, but I can assure you we’re having a blast getting there. It was Dorothy Parker who said, “If you have any young friends who aspire to become writers, the second greatest favor you can do them is to present them with copies of The Elements of Style. The first greatest, of course, is to shoot them now, while they’re happy.” These are words to live by.